Kesha’s court battle with Dr. Luke is still on. However, the star has decided to get back to her music career and plans to embark on a new journey this summer. She has also listed the songs she will play during her upcoming tour to the USA and Canada. The tour will be consisting 17 different dates starting from July to October 2016. Kesha’s website claims all tickets for the star’s upcoming concerts are being sold. She will also perform in the collaboration of a new band ‘The Creepies’. She recorded a selfie-video saying she is going on a tour and will play songs that her fans have never heard her playing before and that she might never perform on again. Her video message that was recorded on a ranch did not reveal much else about the upcoming tour but the information detailing the list of shows in the USA slowly started spreading on the internet. She will kick off the tour with her new concert from July, 23 and the tour is likely to end on October 1 this year. What makes Kesha’s upcoming tour important is that it will be her first major tour since legal battle with the former producer. 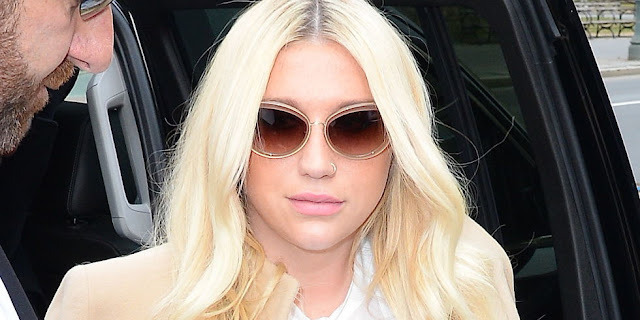 She has been in a court case with Dr. Luke who she accused of sexual and emotional abuse in 2014. Although the case hasn’t resolved yet, the pop star has taken it in a better way to put her ongoing legal woes to a side and continues with her passion of music creativity. And so, on Tuesday, she on her Instagram account announced a string of live concerts as a comeback to music. She also wrote on her Twitter account that she is coming on tour this summer. According to given schedule for the 29-years-old’s upcoming gigs on various music websites, her first show will be held in Ontario, Canada in the end of July. Other cities where the star is likely to perform in are New York, Ohio, Chicago and Brooklyn. She will wrap up the trek in Kentucky in August. The legal dealings caused her musical career in a dividing line after Sony refused to cancel her recording contract with Kemosabe Records. The upcoming gigs are part of her first proper tour after her bid was dismissed by a judge in which she requested to be gotten free from her contract with the former producer’s records and Sony Music earlier this year. Kesha filed a court case to cancel the agreement which was binding her to Dr. Luke who she accuses for sexually abuse. It is worth mentioning here that the producer strenuously denies the accusation. However, the court loss earlier this year did not break the singer’s self confidence and just after a few days, she joined DJ Zedd during a live performance at a musical festival in California. She sang his song ‘True Colors’ passionately and was applauded by the audience. Later she also played with Ben Folds in a music award function in May 2016.